The first time VueMinder is started, a Configuration Wizard will run. This wizard helps guide you through setting up VueMinder for initial use. 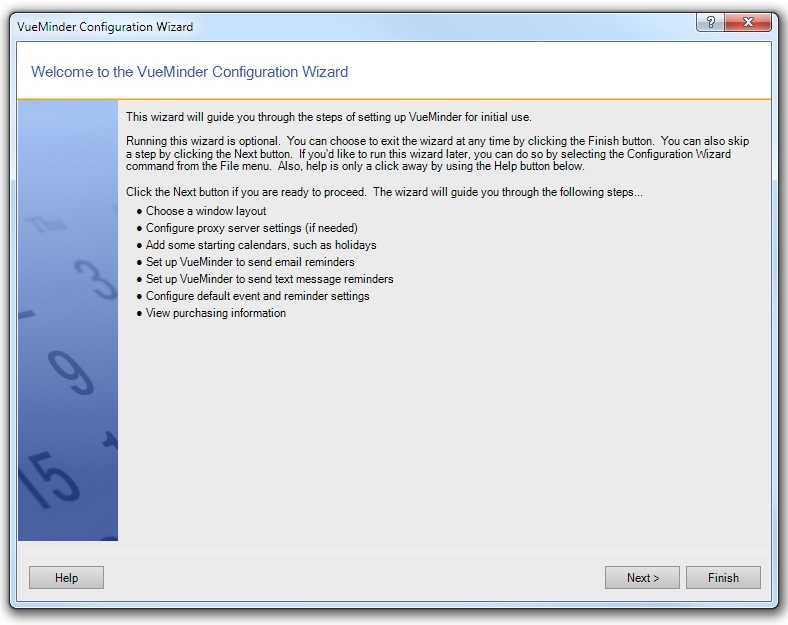 The Configuration Wizard can also be accessed via a command on the File menu.